There is a know incompatibility between the HP Color Laserjet printer drivers and Adobe’s Actobat 8. Adobe has included a workaround in the print dialog. 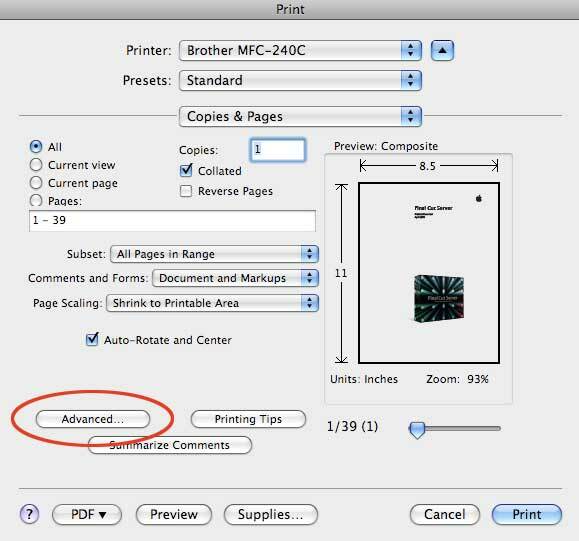 In the print dialog, click on the Advanced button toward the botton on the left. 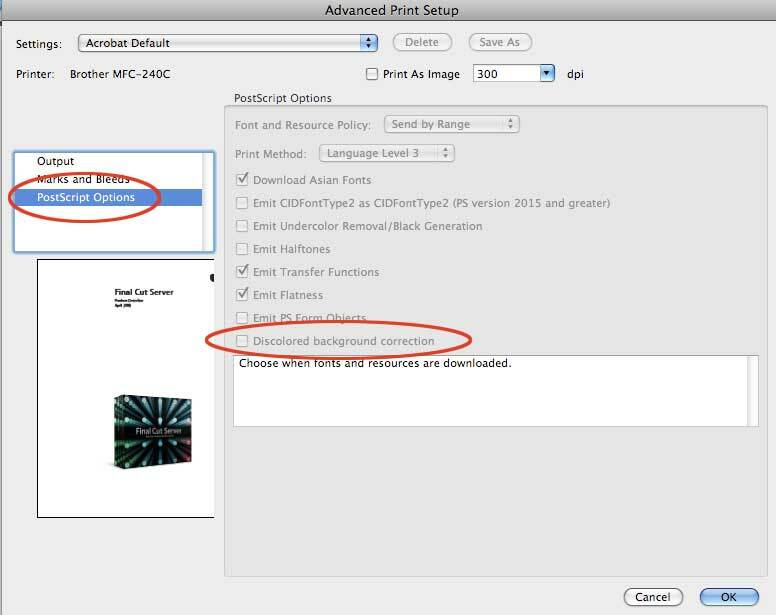 In the Advanced Print Setup dialog, choose Postscript Options from the list on the left. Then, you’re going to want to click the “Discolored Background Correction” checkbox at the bottom of the list of options.